Next to dugouts and coracles dinghies are about as basic as boating gets. 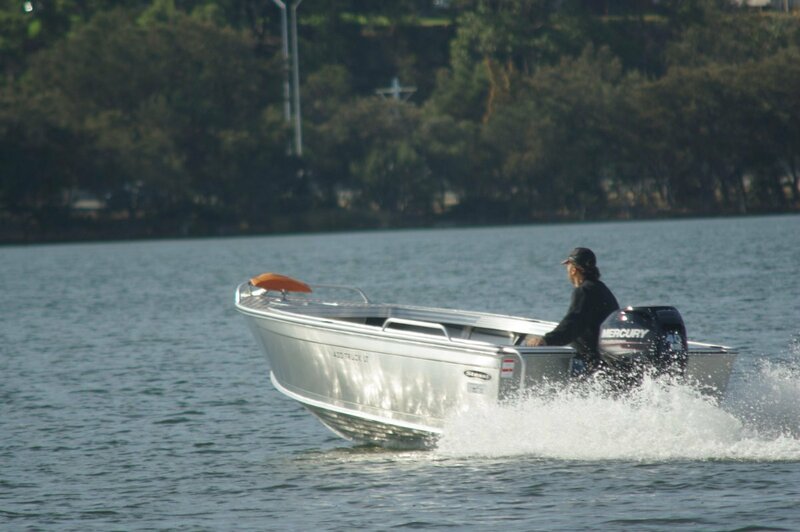 And there are thousands of them around because they suit what thousands of people want from their boating. Things like easy to launch and recover, draggable along the beach, just minutes to clean, able to be sat in while catching fish; and cheaper than anything else. 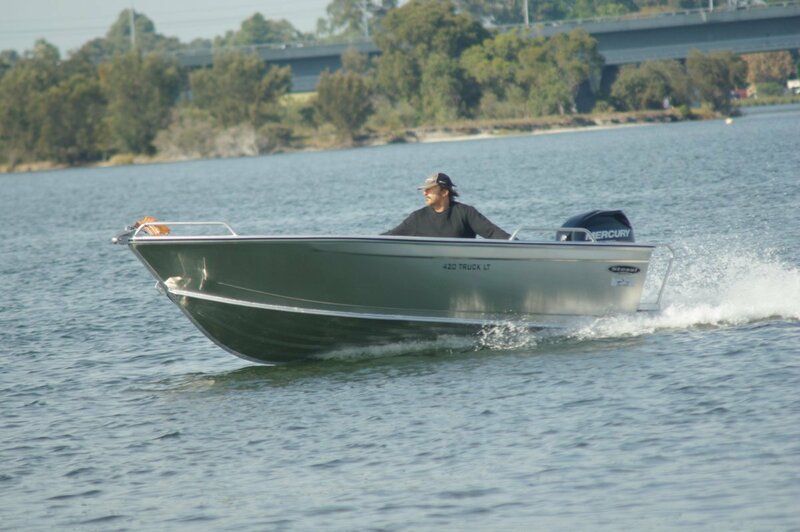 At $15,800 the review boat might not seem to suit that last requirement, but it was powered by a 40hp four-stroke. If you want to get into the tradition of dinghies you could replace that with a 30hp two-stroke and drop the price to $11,650. It would be even cheaper replacing motor with oars, but I did not enquire about its naked price. Actually, the Stessl 420 Truck is a fair way beyond your basic dinghy. The real traditional tinny had sides, a bottom, a couple of thwarts and very little else. This is more like a scaled down big boat with a few things missing. For instance it has side decks and a foredeck. And why would it want those? The side decks make it immeasurably stiffer; the foredeck joins in that task and also has an anchor well – in aluminium rather than plastic. There is more aluminium involved elsewhere in the structure than in most dinghies: the entire hull uses 3mm sheet. The sides are largely smooth, the bottom deeply corrugated and forming reverse chines – nothing traditional there. The frames have the two box thwarts welded to them, stiffening the structure even more. As well as a lot of aluminium this boat has a lot of welding: full seam welding in places where many aluminium boats have little more than tack welds. 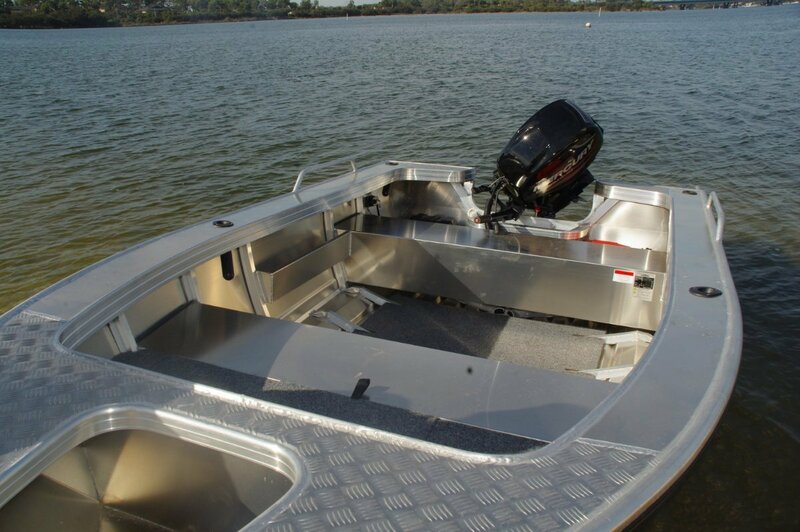 Non-typical dinghy extras include a partial height splash well, a boarding platform and a forward platform with locker under. Places to put things are usually in short supply in dinghies but here, as well as that locker, are side pockets. More usually in dinghies the only pockets on board were brought there in trousers. An unusual feature is a rubber strip inserted into the gunwales. Like all proper dinghies this one was unpainted, but Alf Stessl felt strongly enough about his boats to protect even the raw aluminium. If used single handed, at the rear would be the weights of motor, driver, fuel tank and battery; balanced, or not, at the bow by the anchor. In flat water with little wind it works. At sea, with wind and waves to match, it often does not. Heading into the sea from time to time the bow will be wedged up, sometimes frighteningly high; drivers have been spilled out. The general rule is go fishing with a mate as organic ballast. We were on flat water where the Stessl was well at home, moving with the presence of something larger. When stationary it still felt larger as we assessed stability. There is a fair bit of sharpness in the bottom, but those reverse chines thoroughly balance it. 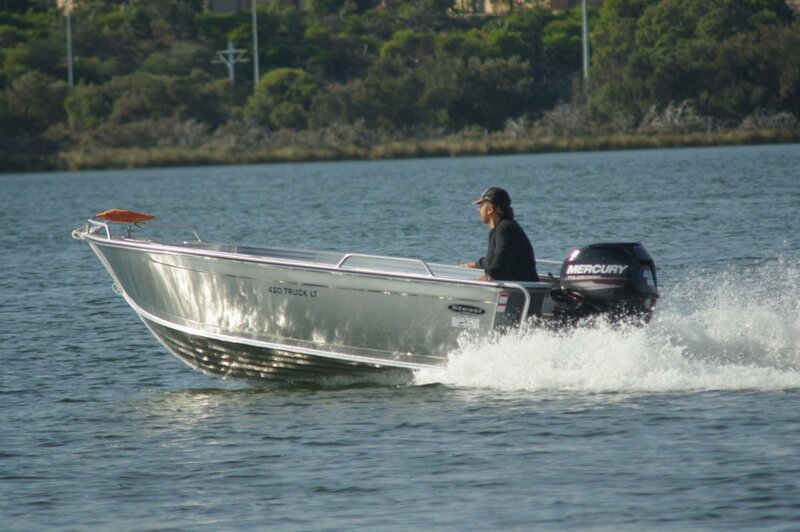 This is an impressively stable boat. There is no doubt that the likely buyer will use the Stessl as a fishing boat. The builder has installed four rod holders leaving the rest to the buyer. But what do you really need? An esky should just about complete the fit out.